The Cologni Foundation for the Métiers d’Art is engaged in projects to encourage the awareness and knowledge of artistic crafts among the younger generations. The first apprenticeship programmes financed by the Cologni Foundation for the Métiers d’Art and the “Manlio e Letizia Gilmozzi Onlus” Foundation began on 24 September 2012. The Cologni Foundation for the Métiers d’Art presented the book by Paolo Colombo at the Senate of the Italian Republic. The Cologni Foundation for the Métiers d’Art presented the book by Paolo Colombo at the Civic Aquarium of Milan. A meeting in the “Homo Faber” cycle dedicated to artistic crafts in the theatre. A meeting in the “Homo Faber” cycle dedicated to the art of cinema costume design. A meeting in the “Homo Faber” cycle dedicated to television and video journalism. Montblanc, in collaboration with the Cologni Foundation, invited Creative Academy’s 19 Master students to explore one of the most versatile materials: paper. A socioeconomic survey of the demand for artistic crafts in Milan was published by the Cologni Foundation with Marsilio Editori in the "Ricerche" book series. Artistic crafts were at the centre of a lively debate held during Florens 2012, the Biennial International Cultural and Environmental Heritage Week. Starting from this year, Villa Necchi Campiglio will host “Manualmente”, a cycle of events dedicated to the skill of the hands. The European Artistic Crafts Days provided the perfect context for the exhibition held at Palazzo Morando in Milan dedicated to objects made “with masterly skill”. The catalogue of the exhibition held at the Auditorium Fondazione Cariplo in Milan pays tribute to the excellence of Italian and Cremonese violin making. 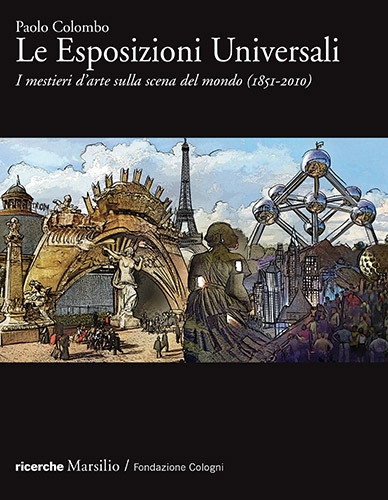 The volume illustrates the fantastic, often troubled history of the Universal Expos through the lens of artistic crafts: from the first World Exposition of 1851 to the futuristic architecture of Shanghai 2010. 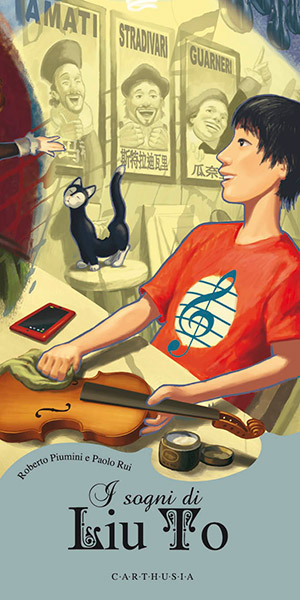 Celebrated author Roberto Piumini reveals the secrets of violinmaking in an original story set between past and present, dream and reality, passion and talent. The prestigious prize dedicated to the talents of creativity was presented in Paris by Alberto Cavalli, Director of the Cologni Foundation for the Métiers d’Art.